Surround Yourself with the Miracles of Mother Nature and Experience a Life Changing Magical Journey of Unified Yoga in Paradise with Yoga Teacher Training Courses in India – The birth land of Yoga which is a dream destination of all the Yoga practitioners. Yoga certification India and meditation have been practised in India for centuries as a way to rejuvenate your mind, soul and spirit. India is famous for its nature and culture and how beautifully they treat their tourists and travellers. As a result, it is a main destination for international tourists for Yoga Teacher Training Courses in India by experiencing 200 Hour, 300, 500 Hour Yoga TTC India throughout. It is quite interesting to find that people are planning yoga vacations for themselves in India, where they can obtain spiritual renewal amidst immense serenity and tranquillity. Often people can shed off their stress and anxiety and can find an escape from their busy buzz life. Probably Yoga Teacher Training Courses in India is the Traditional and Best place to learn Yoga because of its amazing Himalayan Peaks and wonderful coastlines which embarks the people from different regions to come here along and learn yoga from its origin. The main objective of our Yoga Instructor Course India course is basically to allow you for developing a self-practice from both parts: physical and mental level. It aims at proving “The body achieves what your mind believes” – For which We have experienced faculty and a huge number of certified teachers from India and abroad. Let us have a look at the three tiers of RYC (Rishikesh Yoga Club), and you should choose your choose your institute accordingly. Other Activities: River Rafting, Himalayan Tour, Sight Seeing with guide. River Rafting, Himalayan Tour, Sight Seeing with guide. River Rafting, Himalayan Tour, Sight Seeing with guide. Rishikesh Yoga Club, the best Yoga School in India transforms your life with 200-Hour, 300-Hour and 500-Hour extensive yoga TTC including hatha and ashtanga yoga in Rishikesh and Himalaya, India. Rishikesh Yoga Club’s TTC Courses are registered with YOGA ALLIANCE (USA). Students who will be certified from RYC will be consequently eligible to register with Yoga Alliance as RYT 200 or RYT 500 as a Registered Yoga Teacher. Students who will be certified with Rishikesh Yoga Club will be eligible to register with Yoga Alliance as RYT 200 or 500 (Registered Yoga Teacher). Yoga Alliance is the largest recognised authority for registering a yoga school or a teacher all over the world. Finally, with Rishikesh Yoga Club, you will experience an immense yoga journey by learning Asanas to Kriyas through Philosophy to anatomy with deep meditation and self-sadhana which will definitely transform your mind, body and soul. 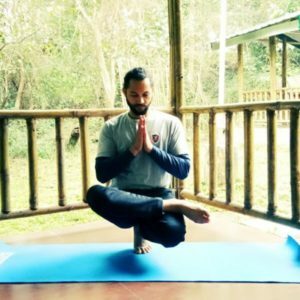 In this Yoga Course in Rishikesh and Himalayas, you will learn aspects of Hatha and Ashtanga yoga Techniques along with asanas and deep knowledge of its ancient history. Sound Healing: In this class, you will learn the theory of sound and vibration and its influence on body-mind emotions. You will have practical sessions with Sound message. The practice of Yoga Nidra is helpful in reducing tension, stress and anxiety. Everyone is suffering from Stress in today’s life and to cope us with the competitive environment, we definitely seek for something which can bring peace and serenity in our lives. Sound Healing is the best technique to balance the Chakras. Through Chakra healing sound, one can explore the possibilities of having a healthier mind, body and spirit. Yogi Shivraj is a well known experienced yoga teacher and he has been giving yoga sessions since 2010. Yogi Shivraj has made a mission seeking to understand the ancient yoga asana’s and Tantric path & studied so closely with numerous yoga masters during his treks throughout the Himalaya Mountains. His empowering & leading workshops around the nation inspired him to get into yoga and cultivate an intimate yoga community in holy city Rishikesh. Yogini Jennifer is a Yoga & Meditation Trainer and Self-Development Coach. Jennifer presents in yoga teacher training programs India wide and in Ireland. She served almost 6 years of teacher training in different cities of India and is now delighted to be co-teaching with Yogi Shivraj at Rishikesh Yoga Club affiliate center. Jennifer has conducted several yoga sessions in Bali, Thailand and Spain which makes her a deeply empathetic guide to others. As said by B.K.S Iyengar, “The true purpose of Yoga is to discover that aspect of your being that can never be lost”. Yoga allows you to find your inner self which is not riled by the endless stresses and struggles in life. Everyone is suffering from Stress in today’s life and wants to cope with the competitive environment, we definitely seek for something which can bring peace and serenity in our lives and Yoga has proven the facts of being so. Hence Registered Yoga Teacher Training Course India is a fast track course certified by Yoga Alliance which is designed for beginners, Yoga lovers and Certified Yoga Teachers and those who have keen interest to be a certified Yoga Teacher. 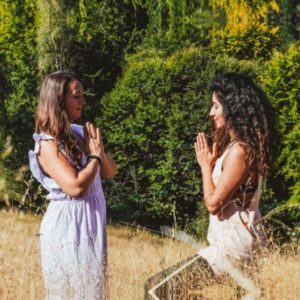 Above all, in this course, you will learn multi-style Yoga which includes Hatha Yoga, Ashtanga Yoga, Yoga Nidra, Chakras, Meditation practices and Balancing Techniques. Have you Experience “Yoga Teacher Training Courses in India OR Yoga Instructor Course India” with us? 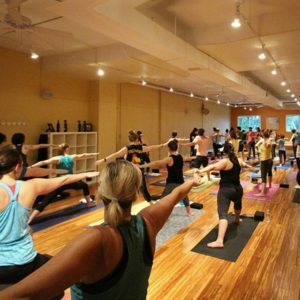 Yoga Teacher Training Overall rating: 4.9 out of 5 based on 48 reviews. - Edward (Sydney), 28 yrs.